State and local government agencies need more security than ever! 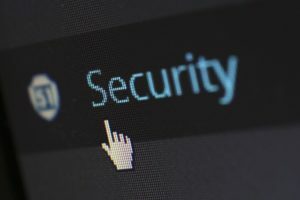 With the range of technology ever increasing the number of cyber security threats that state and local governments must face is ever on the rise. While these facilities never hold top secret information, they still have data that should be kept secure. Personal information such as school and driving records, voter registration information, personal identification details, and more, are all kept by these facilities. Plus, governments are frequently turning to network-based operation for public facilities. All of this information and capability could easily be used for ill intent if it were to fall into the wrong hands. Over 66% of cities within the US have moved to using smart-city technology. This includes streetlights and systems that operate more efficiently, adjust their own brightness, and even take note of illegally parked cars. Other methods, such as water treatment facilities and dams, also utilize network-based operation. There have already been attempts at cyber-terrorism on all of these fronts. In 2013, for instance, a breach in cyber security at a dam in Rye, NY almost lead to hackers gaining control of the floodgates, luckily, a critical control cable had been disconnected before the attack. One of the most common causes of security breaches is often unintentional. Employees may accidentally open malware which has been hidden in a legitimate-seeming email. Employees opening malware or phishing viruses by accident is one of the primary causes of data breaches. To prevent these, all staff must be adequately trained on what to look out for and how to respond to suspicious emails. With the rapidly spreading nature of technology and its increasing use in public sectors, data security is more critical than ever. Not only is it necessary for protecting sensitive information, but in the cases of traffic and waterworks, breaches in security can lead to death and destruction. Federal and state regulations are changing to require modern, intensive security measures. This entry was posted on Friday, July 20th, 2018 at 3:35 pm. Both comments and pings are currently closed.